While I'm on an unrelated-to-home-decor roll, I might as well confess to part of the reason why Ive been otherwise occupied. Its because I'm ridiculously obsessed with the Twilight Series of novels by Stephanie Meyer. Yes, that series that is written for "young adults". The very same that I am far too old to be reading no less reading every page with baited breath. To make it worse, I am feeling utterly bereft that I'm about to start the final book now and there is no more of the saga for me to enjoy after this one. So while I can't help but sing the praises for this author whose writing has so throughoutly pulled me into her world, I will warn anyone who reads these books that you may very well be slightly miffed at just how wrapped you get. Consider yourself warned. Am I the only dirty old woman who is mesmerized? I respectfully request that no spoilers are posted in the comments. Im trying to enjoy my last bit of guilty teenage pleasure with the final book now so please don't spoil my fun. I have come across so many (older) bloggers who have been mesmerized by this book series that it is starting to pique my interest. Can a book about a vampire really be that good? I thoroughly enjoyed the Harry Potter series but don't know about the vampires. ugh...I work at a bookstore and there are quite a few dirty old women who seem obsessed. I usually think they are a little bit crazy...I meaningfully point them in the direction of the JUVENILE section. But your okay...at least you understand that you're not a teenager, which some of them do not. There's going to be another book, only from Edward's point of view (it's what I hear)and she has a book for adults, titled "Host". You're not alone. I liked them too. I liked "The Host" too. I'm waiting anxiously for the movie, thinking their pick for Edward is lame, too. Oh, I am so excited!! I love when I hear such a hearty receommendation for a book. I am opposed to just picking any old book and giving it a try. I am too lazy for that! Speaking of books that are meant for the "young", but appeal to us, have you read Summer Sisters by Judy Blume? It is sooo good! Uh oh, I just read that it involves vampires...that I cannot do...I can't stretch my imagination that much!! 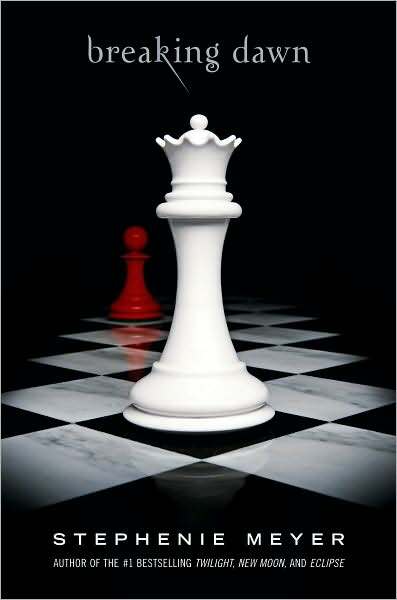 I love this series, but heard too many spoilers for Breaking Dawn I haven't read it yet. I bought the Host, haven't gotten to it yet. 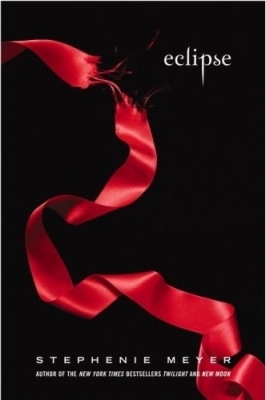 I do read adult vampire books, too, but this one is just so special. me - I didn't really like Harry Potter books at all so these aren't like that. These books are more about the main characters relationships than about the vampire thing. K - Yep, I guess Im one of those people but if you haven't read the book, you might want to give it a try. T- Bellas immaturity was annoying in the first book but I think she has gotten more mature as the books progressed which makes sense. I mean, she is only 17 so being immature is part of that. Aubrey - Yes, the movie Edward is lame! Why did they have to stray so far from the description of Edward in the book? But nothing would compare to the Edward in my head anyway. Restyled Home - Yes, you have to suspend disbelief but I dont tend to read "fantasy" books either. Her writing was enough for me to hold my judgement through the first few chapters until I was sucked into the story. Um, you aren't the only one. I read TWO BOOKS IN ONE DAY last week. And last night I stayed up until 3am reading Breaking Dawn. I'm seriously considering taking a full lunch break with a bowl of soup and my book. OBSESSED indeed. I just had lunch with a friend today and told her about these books because I wanted to start reading them. I have heard from so many woman who thought they would NEVER like a book about vampires but loved this series. It definitely on my list of reads. LOL! I was hooked as well! It's amazing, isn't it! I posted about these the other day! I finished Twilight and I'm on the second one! somehow i just can't get into the vampire bit - i sat through the whole meeting and still didn't get it. obviously i'm in the minority - ppl love these books! My daughter is a big fan of the series and it's on my list of books to read so you are not alone. I read all four of these books the last two weeks of September and I really enjoyed them. I definitely do not think there is anything wrong with being an adult and reading young adult books, and I am totally in love with a vampire! 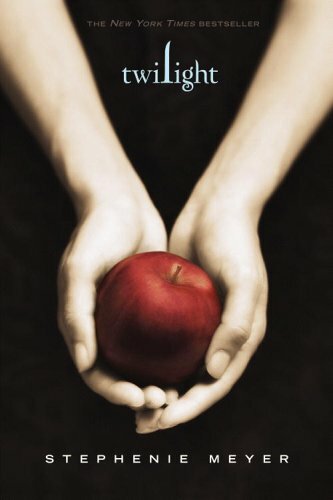 I just started reading Twilight after a friend (also not a "young adult") suggested it- loving it already!